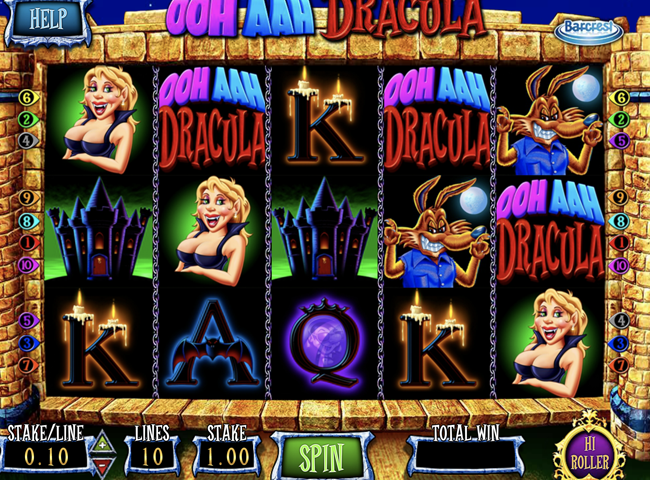 Barcrest’s Ooh Aah Dracula slot is something of a classic and has been taken from the offline version from the slot machines found in pubs and bookies across the UK. The game’s key feature is a Free Spins bonus round that allows you to gamble your winings after each round of Free Spins in exchange for more free spins with extra wilds thrown on the reels. The game has 5 reels and 10 paylines, and whilst on the normal game setting the RTP (Return to Player) is set to 96%, there is also a High Roller level with a 99% RTP. And with a maximum bet of £500 per spin, it is easy to see why Ooh Aah Dracula slot has become so popular. 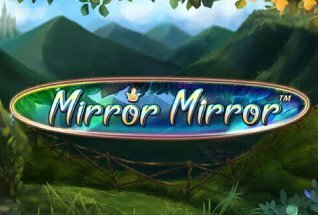 The game is available to play on mobile, tablet and desktop. It was first released in March 2015. Ooh Aah Dracula has a cartoon-y, ghoulish theme to it, with the action set in the Count’s castle. Dracula himself is a pretty cool looking dude in shades and a cape, whose laugh echoes out of the speakers as you spin the reels. which is the highest paying symbol in the game. 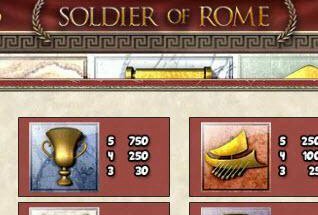 Should you get lucky enough to land five game titles then you reap 5000 coins. There is also a Wild symbol – the word wild – and a scatter symbol – the heart with a stake through it. Should you choose to play Ooh Aah Dracula video slot, consider adjusting the settings to suit your budget. The game has a medium volatility, so the payouts aren’t too infrequent, but neither are they with every spin. To change your stake before playing, you can adjust the stake per line from 0.01 up to 50 coins. The paylines are fixed, so you will always be betting on 10, but your stake range in GBP is from 10p up to £500. There is a rather funky, hammer horror type soundtrack that you may wish to switch off – you can toggle on or off in the top right corner of the game screen. The real fun with Ooh Aah Dracula video slot comes with the features. The game is packed with them – Free Spins and opportunities to gamble, plus a pick-me bonus round that takes place in graveyard! Free Spins – Landing three of more of the Scatter symbols (the heart with a stake through it) triggers the Free Spins round, or Heart Attack Bonus round. There are in fact up to three Free Spins rounds – a first of 15 Free Spins, a second of 10 Free Spins, and a third of 5 Free Spins. Before the spins begin, one of the Heart symbols that triggered the bonus round is turned wild for round 1, two are chosen as wilds for round two, and three for round three. After the first round, the player has an option to choose to reject their winnings from their 15 Free Spins in another round of 10, but this time with two extra wilds thrown in. This is a really fun feature and it gives you some great interaction with the game, and a chance to do a bit of thinking. But you’re not alone there, because the game has a Best Strategy Meter built in which gives you advice on whether to keep your winnings or gamble. It’s only a guide of course, because all outcomes from slot games are based on Random Number Generators. But it can still be a useful guide. Finally, there is a High Roller mode for the game, and one which increases the RTP to 99%. In this mode, an additional feature is activated after the Free Spins round. It is called Graveyard Bonus. This is a basic pick-me round where you choose from six graves to reveal a number of ghosts. Each ghost represents 1.00 coins. 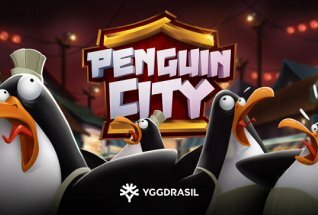 This is a really exciting slot from Barcrest – the gameplay is fun and entertaining and the features are really engaging. Adding in the extra wilds certainly creates more winning opportunities, so it’s worth thinking about your options should you get through to the Free Spins round. As a medium variance slot you won’t burn through your bankroll too quickly and there’s lots to keep you interested in the Ooh Aah Dracula Slot game.